Everyone I know desires to live a joy-filled life. 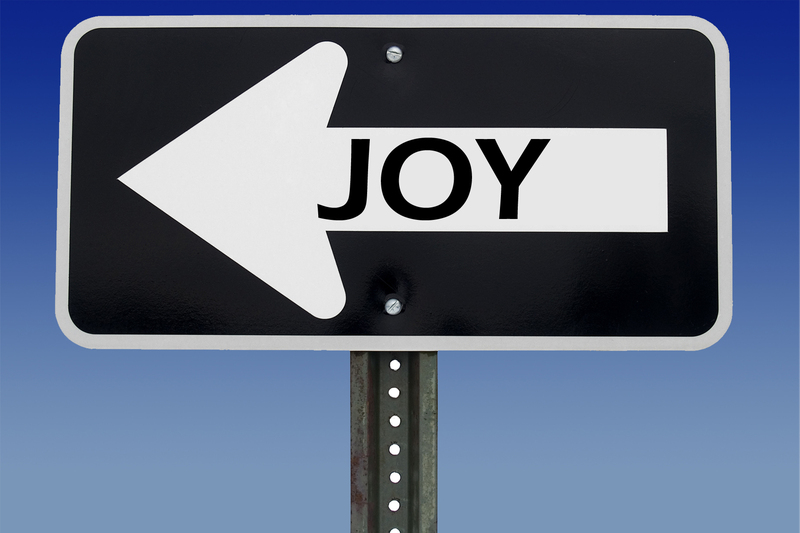 Empty nesters, single women, corporate executives, divorcees, and college students all wonder where joy can be found. Depression and discouragement place themselves within easy grasp, don’t they? Frustration and sadness are usually within whispering distance. No one needs a GPS to find the blahs, melancholy or hopelessness. If we all long for it so intensely, where is it? Where is joy? Depression and discouragement are known for their strong and paralyzing hold on men and women like you and me. However, I have found that His presence is well-able to demolish the chains of sadness and disappointment. Will you continue with me on this amazing journey to joy?! There were a group of shepherds who were defined by an inky and black existence. These men, who were the lowest dregs of society, spent night after hopeless night taking care of someone else’s dumb sheep. These uneducated men had no chance of promotion or pay raises. Their lives were defined by sheep drool, sheep dung and the perpetual echo of a sheep’s “ba-a-a-a”. “And behold, I bring you good news of great joy which shall be to all people; for unto you is born this day in the city of David, a Savior, who is Christ the Lord” (Luke 2:10-11). The eternal reason the angels could announce joy had invaded Earth was because joy had come in the person of a Baby named Jesus. Heaven opened its portals that night and joy splashed into our lives forever. He came into our inky darkness and the joy of Heaven dripped into our world. No matter how hopeless and dark your life seems to be, always remember that a Baby was born whom heaven had named “joy”. The life of this Baby changed everything for every person in all of history. His presence has come to earth and with Him He brought the joy of the atmosphere of heaven! I don’t know much about agriculture but this is what I do know: when a farmer plants cucumber seeds … cucumbers will grow. When a gardener plants sunflower seeds … sunflowers grow in that place. It is true in every branch of agriculture and botany that you will always reap what you have sown. If you plant radish seeds, you will not be harvesting carrots. If you plant a rosebush … there is no need to worry that turnips will grow in that place. “Those who sow in tears shall reap with joyful shouting” (Psalm 126:5). If your life has been nothing but pain and sorrow and tears, let me assure you that your life holds more potential for true joy than someone who has lived with a white picket fence guarding the tulips of their life. The Bible says all of your tears are going to miraculously reap a harvest of joy and rejoicing. 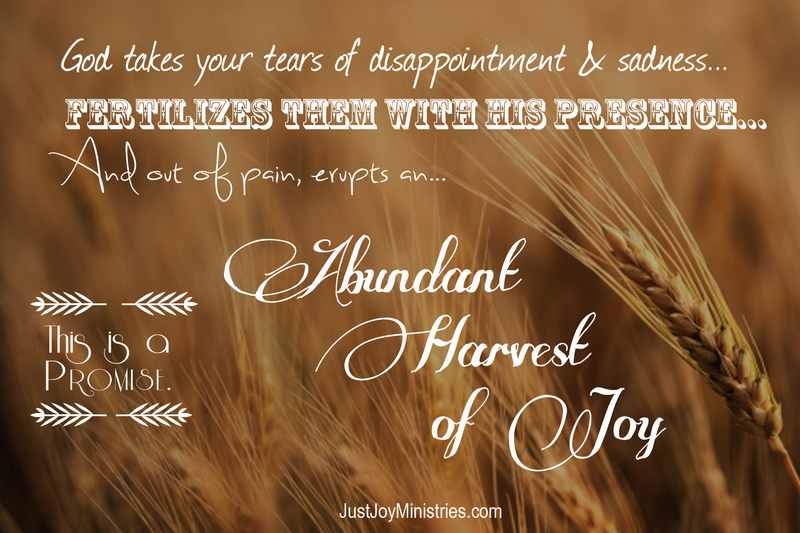 God takes the tears of disappointment and sadness, fertilizes them with His presence, and out of that place of deep pain will erupt an abundant harvest of joy. You are never immune to this miracle or left out of this promise. Only God can take your worst defeat, your greatest pain, and your moment of raw sorrow and turn it into His miraculous and irreplaceable joy. Only God. And now, if you are still struggling to find this solid by-product of His presence, let me just encourage you today to be grateful. Spend some time this very minute in heartfelt worship and thanksgiving and before too long the ripples of joy will begin. When you begin to sing in spite of pain and disappointment you will discover the most glorious gift of all … He has arrived! He will come walking to you across the years of disappointment and gloom. He does not come alone but with Him comes the dynamic gift that follows Him wherever He goes … the gift of joy! *** This blog is an excerpt of Carol’s newest book, “No More Ordinary!” To pre-order your copy today, click here. I have the JOY, JOY, JOY, JOY down in my heart! ❤ Carol, beginning on December 25, 2013, the very day God delivered me from depression, I have gone to His word EVERY morning! I wake up, sit on my porch, weather permitting, and I can not wait to see what messages he has for me for the day! I used to wake up and rush to get on Facebook and email first thing!! I still do that but it is after I spend about a 45 min-1 hour with Jesus! I found your Jolt of Joy and 21 Days to beat Depression on YouVersion and am even cycling back through 21 Days for the second time! God has used you, Carol, to bless me beyond measure! Thank you for sharing your Joy with us!